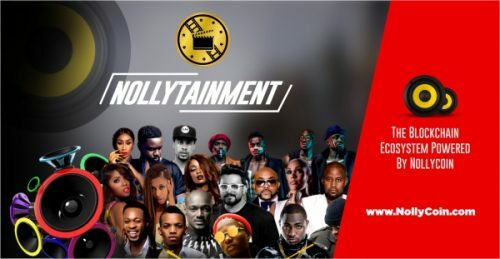 Nollytainment introduces a blockchain-powered movie distribution platform to Nollywood with the Launching of a new cryptocurrency called NOLLYCOIN. The new NollyCoin provides a cutting edge solution to major problems to African Movies Ecosystem. Get further information on this landmark development at http://www.Nollycoin.com. In a ground-breaking approach to the financing, distributing and marketing of Nollywood and African Movies, NOLLYTAINMENT, a new blockchain inspired Movie Distribution company has decided to Launch a new blockchain-powered platform and cryptocurrency, called NOLLYCOIN, into the African Movie ecosystem, and this is expected to be launched to the public on 1st of April. As a direct effort to address glaring problems in Nollywood and the African Movie Industry including lack a universal currency for distribution; lack of adequate financing to produce quality movies and lack of proper compensation structure for movie production collaborators, NOLLYTAINMENT LTD has decided to be a little more daring by Launching an innovative coin for African movies called NOLLYCOIN. This significant milestone includes the creation of a fund to produce exclusive blockbuster Nollywood films which will be available on the NOLLYTAINMENT platform, while also providing NOLLYCOIN holders amazing utility for holders of the NollyCoin tokens. Not only will holders of the NollyCoin be able to trade the coin on various Crypto exchanges globally, they will also be able to use the NollyCoin token as movie tickets to watch blockbuster movies on the Nollytainment platform; partner movie theaters; and partner movie streaming sites. Additionally, NollyCoin holders will also be able to receive dividends from movies sold on the Nollytainment platform. Essentially, Nollytainment will be pioneering a new movie production, distribution and marketing ecosystem powered by NollyCoin. “The launch of NOLLYCOIN is a great milestone for NOLLYTAINMENT LLC,” said Dr. Ope Banwo, President of Nollytainment LLC. “We are very pleased that we are pioneering the elevation of the African movie industry to capitalize on the benefits of the blockchain technology for financing, production, marketing, distribution and delivery of African films. The launch of NOLLYCOIN is the result of our commitment to the African movie industry and it will motivate us to continually seek ways and means of enhancing profitability in the African movie ecosystem for all stakeholders.”. This is a great opportunity for African Movie practitioners and lovers to experience a highly transparent platform that connects creative artistes in the conception and production of movies (i.e. Movie Producers, Directors, Cameramen and Other Creative Works artistes) with Consumers of African Movies directly, through NollyCoin. It will also lay the groundwork for a new age in the Financing, Production; and Distribution of African Movies in a way that is sustainable, borderless, and fair to all stakeholders. Dr Ope Banwo also said: “Nollytainment, through the introduction of NollyCoin is the 1st company to introduce blockchain technology to Nollywood and African movies. – NOLLYCOIN is a type of electronic cash that can be discreetly exchanged for Entertainment products and services on Nollytainment and partner Platforms, and it can also be subsequently converted into fiat currency. – Removes national boundaries and local currency issues for free flow of creative works. One currency of exchange for Nollywood movies that works globally. – It provides ease of payment for micro purchases and payments for creative works globally. When asked about the prospect for success of the new Cryptocurrency and the blockchain powered movie distribution platform service, Dr Ope Banwo said: “We think it’s going to be a hit because NollyCoin will be a game changer for the movie industry in Africa as it will help producers and consumers take the game of movies distribution and consumption to a whole new level”. Further information about NOLLYTAINMENT INCORPORATED and the new Cryptocurrency powered movie distribution platform service can be discovered at http://www.Nollycoin.com.